Water or H2O is one of the factors in the absence of which your gardening dream will never fulfill. Though every gardener knows the importance of water, not every one of us is aware of the different techniques which if followed, can maximize the impact of water on your gardening. 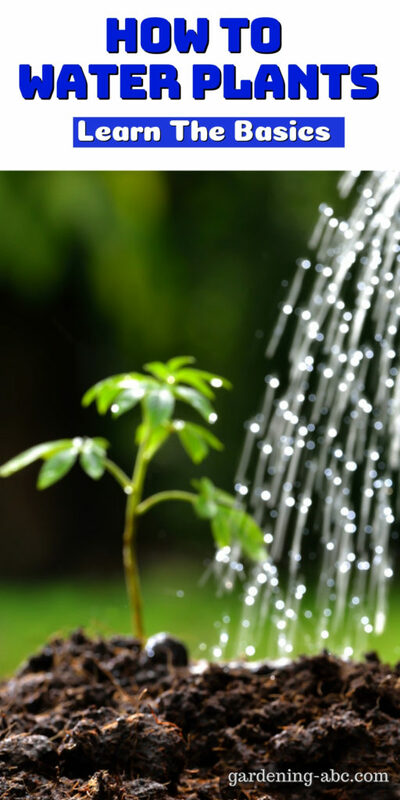 This blog focuses on the basics of how to water plants. 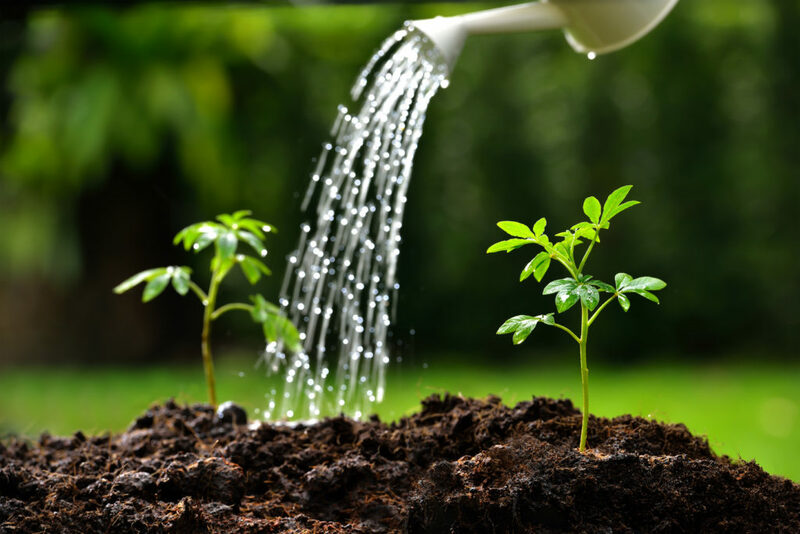 The quantity of water in the soil is very important to the plants. Too little or too much watering both can be detrimental. As for the beginners, plants prepare food by using water, sunlight, and Carbon Dioxide(CO2) with the help of Chlorophyll (which is present in huge quantity in the leaves). This process is called Photosynthesis. All plants need water. Without water, the plant can not complete the process and thus dies out. Most of the time natural rainfalls provide the much needed water for plants. But when this is not the case, you as a gardener have to provide it. When to apply water and how much are to apply are very crucial. In case you put too much water the over wet soil can damage the roots, and can also become prone the many diseases and growth of many fungi. So now the most important question: How much and how often should I water? Well, the best answer is it depends on your judgment. Just do a soil test. Pick up a little amount of soil and try to make a ball out of it. If it crumbles in your hand that means it needs water quickly. If you are able to form a ball with the soil, without making your fingers stained, then that means the soil has the perfect amount of moisture. In case you are able to form a ball, but your fingers become wet that means the water content in the soil is high and no need of further watering. After you water your plants, gravity drags water deeper into the soil. This process depends on the types of soil as well. Sandy soils have many large air spaces, so they are well drained, whereas in clay soil the process is very slow. How often you need to water the plants depends on the climate your plants are in. If the climate is warm and the plants are in direct sunlight you might have to water them very frequently. Likewise in rainy seasons (check out my blog on gardening in the Rain for more details) the watering needs are very less. Type of soil is also an important factor in watering. Soilless media such as Peat moss and Coconut Coir does not require that much water which is required in normal soil. Last but not the least watering also depends hugely on the type of plant. If the plant is fruit-bearing one, or have shallow root system you need to water much more frequently than the rest of the plants in your garden. Morning is the best time for watering your plants. It allows the plant to take up the water and get ready for the heat or the dampness of the day. Plants can fully utilize the water for their food preparation. Early morning is also a time when winds are not very high so you will loose less water due to evaporation. The next best option is in the late afternoons or evenings. just make sure you put the water to the roots only. If the stem and the leaves stay wet during the night can invite many diseases such as mildew and molds. Try to avoid watering in mid-days as it can be wasteful. Due to the increased heat, moisture evaporates from the soil before the roots can absorb it. But never stop giving water to the plant in the mid-day even after seeing the soil is dry, just because it is not the optimal time for watering. While watering makes sure you water thoroughly once a week making your soil well moistened rather than a brief sprinkle every day. Always give water to the roots i.e, at the base of the plant rather than giving the whole plant a shower. This is best device for watering lawns. The only drawback of this device is water is not distributed evenly. 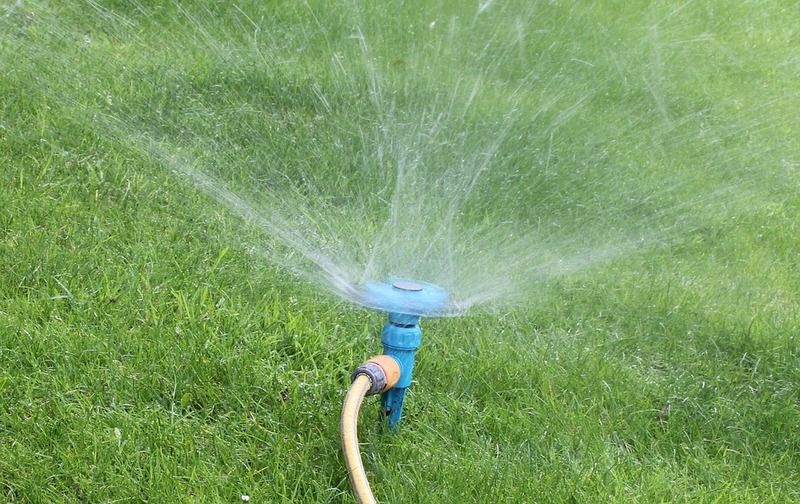 As more more water is dispensed near the sprinkler you need to adjust the sprinkler for even watering. This is ideal for watering trees and shrubs. The best way to use a root feeder is to put 12 to 18 inches into the soil as most of the roots are present in that area. This is a very popular device for watering vegetable garden and flowerbeds. 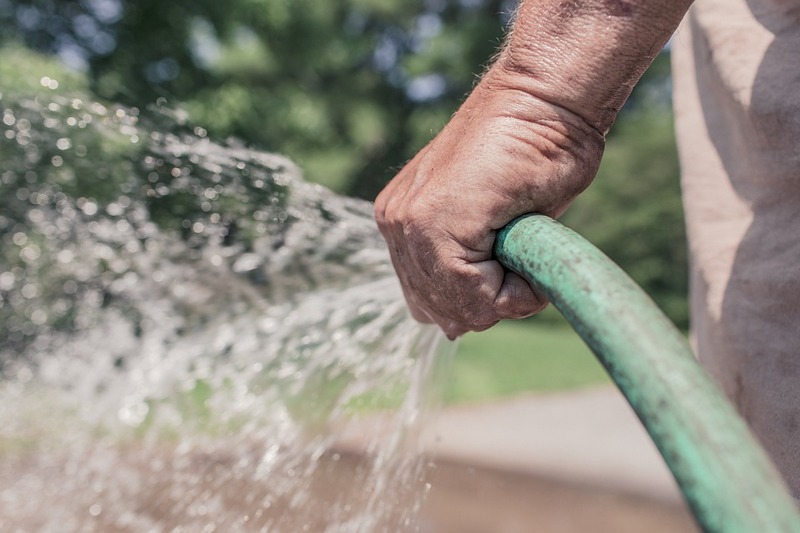 The best thing about soaker hose is it releases water gently, so you can water your roots and the soil without wetting the stem or the leaves. Applying water to the growing media surface through drip tubes or tapes. Through overhead sprinklers or by apply water through the bottom of the container. or by using a combination of delivery systems. Before finalizing on the best time to water plants in a greenhouse you have to consider the pot size; the growth stage of the plant; the current weather and tomorrow’s weather; the time of day and moisture level of the media. People spend lots of time and money on landscaping, and other garden-related activities but rarely spend much time on watering which at times results in the death of so many plants in the garden. If we take a little effort and apply common sense, 75% of the plant’s death in the garden due to lack of proper watering system, can be prevented. Water is a limited resource. Though a gardener only uses a small portion of the total water consumed, the total use by all gardeners is quite a significant amount. So as a gardener it is our responsibility to efficiently use the resource and to protect its quality. Avoid practices that contribute to surface and groundwater pollution. Improper use of chemical fertilizers, pesticides and soil erosion are major threats to pure water. Try to follow as much organic gardening as possible. Please let me know what do you think about the article by commenting below. Very good article Prasenjit 🙂 What's your suggestion for those who make potting mix by mixing black soil + vermicompost+ coco peat+ cow dung manure in equal proportion?